Justin’s practice focuses on complex litigation. He has experience litigating an array of claims involving professional liability, general liability and coverage. 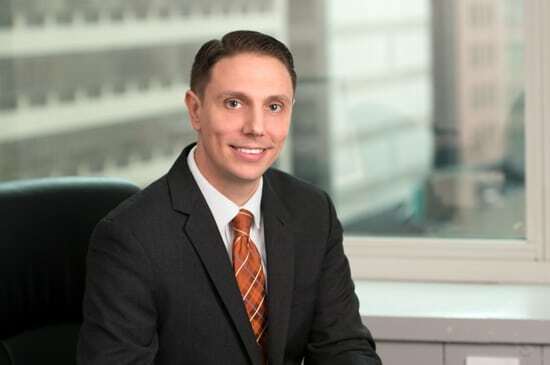 Since joining Litchfield Cavo LLP his practice has focused on defending claims involving construction, architects and engineers, product liability and long-term care facilities among other professional and general liability matters. Justin has also represented businesses, music industry professionals and individuals in contractual negotiations and transactions. Defended a construction manager in a construction site accident case involving cognitive brain injuries and achieved summary judgment based on the statutory employer defense. Defended a condominium association and its board members in a multi-day private arbitration alleging breach of the by-laws and gross negligence in connection with the Board’s actions and spending and achieved a complete defense verdict. Defended a home care company against a claim it violated the Pennsylvania Whistleblower Act by terminating an employee who allegedly reported fraudulent billing to Medicare and achieved favorable settlement. Defended a long-term care company against a claim of significant personal injuries suffered at its facility and successfully tendered defense to responsible facility management company who assumed the long-term care company’s defense on the eve of trial. Defended a hair salon against claims that its employee caused a minor serious scalp burns and achieved favorable settlement. Defended a construction manager in a significant personal injury suit and forced subcontractor to assume defense of construction manager by achieving summary judgment in a separate declaratory judgment action against the subcontractor and its insurance carrier. Successfully argued that a subpoena to a non-party intended to harass and cause embarrassment the defendant rather than develop admissible evidence violates recently amended Federal Rules of Civil Procedure. To view the full story, click here.